Please email us with any questions or concerns to info@customclear.net. All of Custom Clear ‘s products are shipped through UPS to the addresses within the United Sates. Currently we accept online credit cards for the billing and shipping addresses in the US only. For now, international orders are not available. Your order will be processed within 24 hours after payment method has been approved. For each address within the United States, your order will usually be shipped via regular UPS. In most cases you will receive your item within 5-7 business days after ordering. If you have a special shipping request or have any questions kindly let us know. As our valued customers, we want you to feel confident in your purchase which is why we guarantee 100% satisfaction with our products quality. If for any reason you are not completely satisfied, return your purchase to us for a refund or exchange within 15 days of the order date. We will gladly accept your return in saleable condition. Simple Two-step Process for Returns To return or exchange an item, please follow the steps below: 1. Enclose invoice and original materials 2. Ship (we do not accept C.O.D. deliveries) your package fully insured to: Custom Clear Customer Service *All products must be returned in good condition, never been used, in original package. Our Process Upon receiving your return, all materials are reviewed by us. We may not accept your return if it does not meet the qualification above. Once your returned item is accepted, a refund less re-stocking fee of 15% will be issued in the original form of payment. We will not refund your return shipped cost. 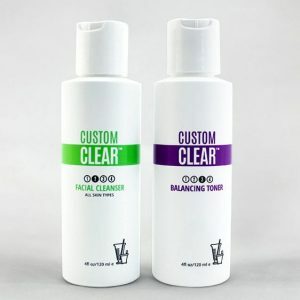 If you have any question, please feel free to write us an email at info@customclear.net.